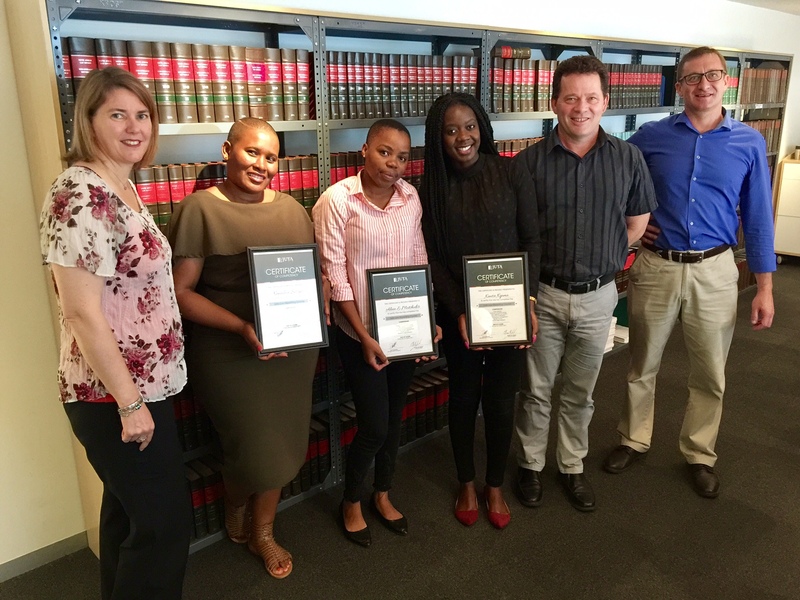 Juta Law had the pleasure of hosting three editors from the Botswana Administration of Justice for a one-month internship with our Law Reports department which started on the 6 February 2017 and ended on 6 March 2017. The internship consisted of an intensive law reporting course covering skills including case selection, flynote- and headnote writing, case and legislation annotation, editing and proofreading, publishing process management as well as aspects of quality control and electronic legal research. The training is part of Juta’s collaboration with the Botswana government to produce the Botswana Law Reports to the highest standard. Juta's Law Reports team hosted a farewell breakfast for the interns who were each presented with a certificate after successfully completing the programme and achieving the required competencies.